Ah, summertime. Everyone looks forward to it year-round – it's when you can finally put away all those long-sleeved clothes and show off your toned arms. When you're lucky enough to have toned arms in the first place, that is. What happens when you don't? Well, you're stuck making excuses for your unusually warm-looking outfit in 80-degree weather because you're afraid people will see your arm flab. But not to worry – there's still time until the weather gets really hot, and you can still get rid of those "bingo wings," as people call them, before literal judgment day. Here are 10 easy arm exercises that'll help tighten up those arms. The push-up is a go-to for workout fanatics, and for good reason. Not only does it improve your posture and help with your chest and abs, it also tones your arms considerably. Feel free to do the easier version of this exercise by letting your knees rest on the ground – the arm movement is what matters for your specific needs here. This slightly more restful variant of the push-up, recommended by Jeanette Jenkins on the Huffington Post, is great for your arms, as it allow you to focus on them rather than your abs or chest. In between each push-up – or each set of push-ups – rotate your body outward, holding yourself up on one arm while reaching upward with the other. Then return to your starting position. This one is great to do outdoors, in between running sprees for example. 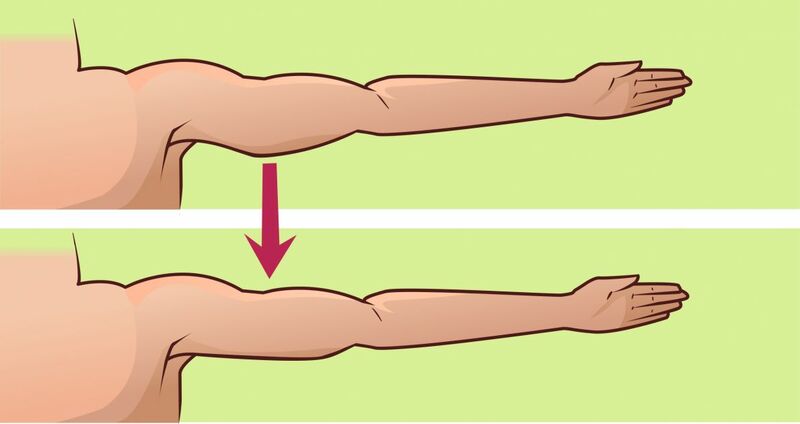 Using your arms as your sole support, lower yourself downward with your legs stretched out in front of you, then pull yourself back up – without moving your legs. For more experienced gym goers, this barbell exercise involves pulling weights upward from a bent over position, like in the picture above. Make sure your back is straight, as a curved back could be very harmful for your spine during such exercises. 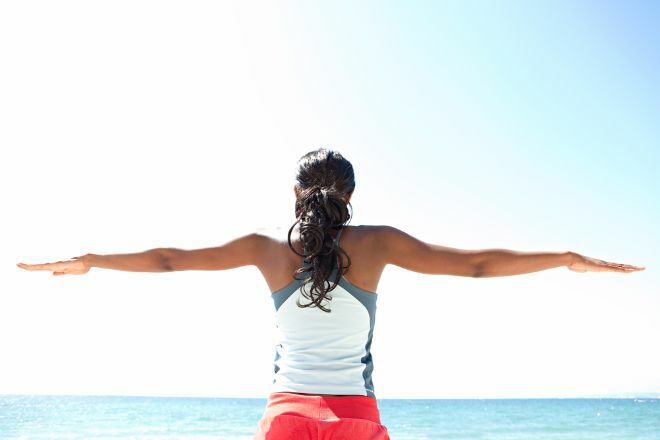 Best Health recommends this one: Holding a weight behind you, pull it up by stretching out your arms above your head. You can either hold one end of the weight, or the middle. With a bent back, start by holding weights close to your chest with your arms bent, then stretch them backward in a swift, controlled motion. A slightly more challenging type of stretch, this one involves attempting to put your hands together behind your head. If you can, it's preferable to have your palms touch completely. 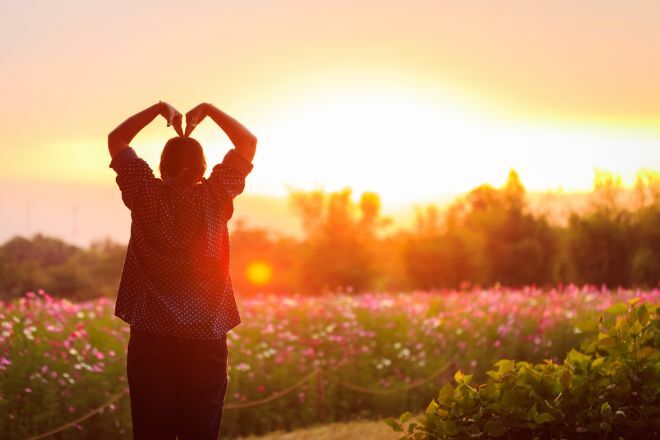 Try bringing your joined hands further downward behind your head – but don't hurt yourself! This is probably the easiest of exercises – just stretch your arms out at your sides and rotate them in small circles. It's also a great little workout for your back. 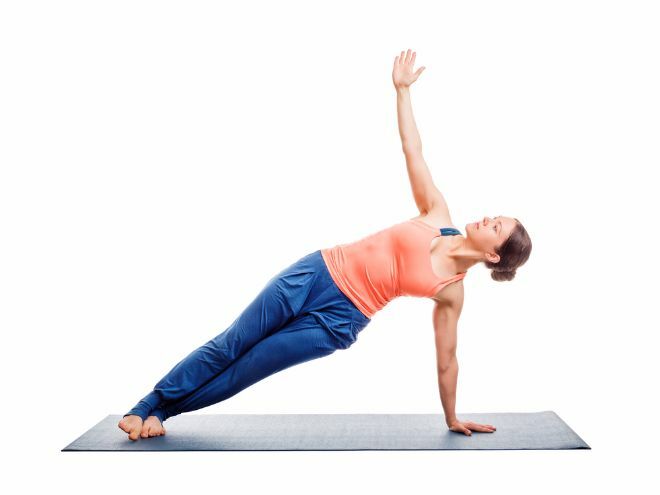 Start with your arms stretched out, then bring them together, with one arm going over the other, then the other way around. You can either use weights for this or do it empty-handed, depending on how strong your arms already are. Yoga poses in general are excellent for strengthening your muscles and getting a leaner body. The cobra pose is one of the best as far as upper arms are concerned, as it involves holding most of your body up with them. Make sure to stretch before doing this pose and breathe throughout. Do you have any other good upper arm workouts? Let us know in the comments, and make sure to SHARE this list on Facebook!